The dataset contains workplace lead measurement results collected during health hazards evaluation surveys from 1991 to 2015 for over 1200 personal lead exposure assessment. The data about exposure are estimates of lead concentration in air and on working area surfaces and are accompanied by description of location, industry, work type, working area, the activity that generates exposure, use of specific personal protective equipment as well as other variables. 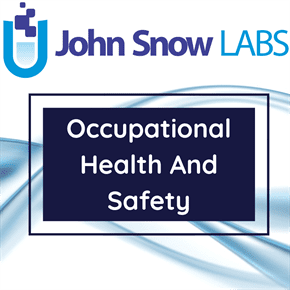 The source of data is provided by The National Institute for Occupational Safety and Health (NIOSH), whose mission is to develop new knowledge in the field of occupational safety and health and to transfer that knowledge into practice. Health hazards evaluations (HHEs) are requested by employees, their representatives or employers, to help learn whether health hazards are present at their workplace. The scope of HHEs varies based on the requestors’ concerns and the NIOSH project officers’ professional judgment. Only lead measurement results are included in this database; however, many HHEs evaluating lead exposures also look at other exposures. It also includes the following information: U.S. state or territory; National Occupational Research Agenda (NORA) sector; facility description; lead-generating activities; job title; type (full-shift, partial-shift, or task-based) and duration of lead measurement; lead concentrations from personal breathing zone air sampling; lead concentrations from surface wipe and surface pad samples; type of respirator and if employees used them or not; 8 hour time-weighted average concentration and 10 hour time-weighted average concentration. This dataset is an ongoing project and will be updated periodically to add the most recent HHE lead measurement data. All lead measurements were collected by NIOSH investigators as part of a health hazard evaluation. Data were extracted from the final report and, in some cases, augmented from investigators’ records. Administrative and observational information was extracted from the final report. The Health Hazard Evaluation Program has an extensive internal review process for its reports. Data entered into the database underwent a 100 percent check to ensure accurate entry. Because data related to measurements results in some cases were reported as singular or as interval of values (for the same variable), the lower and upper interval limits were placed in distinct fields (columns), along with singular values in each of the two fields. At the same time, in order to ensure the possibility to determine which of the values were reported as interval, a field that signals this aspect has been created. The values which initially were presented as less than a number were replaced with the first number with three decimals of 9. At the same time, negative qualitative sample and trace values were replaced by 0.